The wind in your hair, the freedom of the open road, lower fuel and road tax costs, the ultimate city congestion beater – it’s no wonder that the UK is one of the biggest markets for motorcycles and scooters. From classics like Douglas, Triumph, and even the rare-as-hen’s-teeth Vincent Rapide, through to thoroughly modern Japanese Kawasakis, a ‘green lane’ enduro, or a big Harley Davidson, motorcycles have had a special place in British motoring history for over a hundred years. Today, motorcycles and scooters are a common sight on our roads, especially in cities where congestion makes them the practical answer for zipping through the queues. They’re also lighter on your pocket when it comes to fuel costs, beating even the most fuel-efficient cars on miles per gallon. Road tax and running costs are cheaper, and as long as you don’t mind getting a little bit damp when it rains, motorcycles give you that real sense of freedom and connection to the open road, too. However, there’s one thing that’s crucial to riding a motorcycle, and that’s insurance. The downside of riding a motorcycle or scooter is that you are much more vulnerable than car drivers, so your insurance has to reflect that, without breaking the bank. And that’s where Park Insurance can help. For over 30 years, Park Insurance has been sourcing affordable motorcycle insurance for customers of all ages. 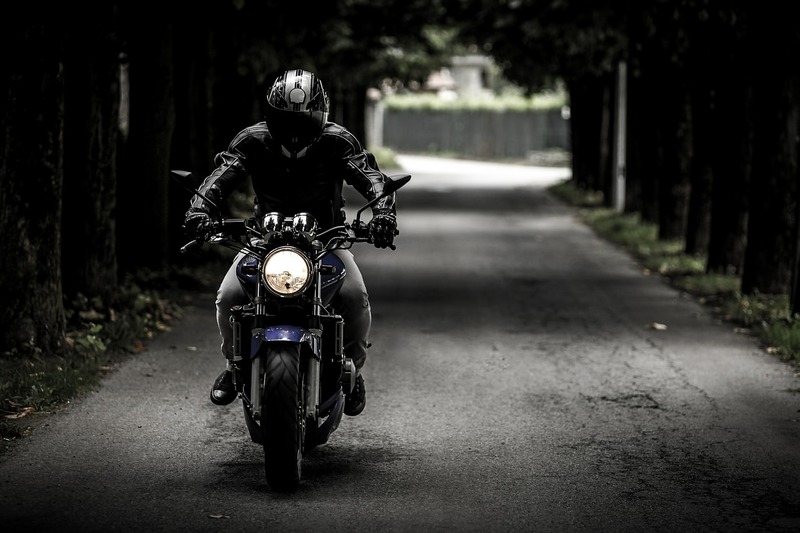 Whether you’re a new rider and still on your L-plates, or a highly experienced rider and a member of the Institute of Advanced Motorcyclists, we can help. We use our position as preferred brokers to source you the best deal and the right cover, whether you’re looking for trike insurance, classic motorcycle cover, or touring bike cover with international recovery as an optional extra. What kind of motorcycle insurance do you need? You’ll also need to consider what type of cover is best for you. Remember that motorcycle insurance is a legal requirement if you want to ride on the road. Failure to have insurance is a criminal offence that can lead to a fine, points on your licence, and your motorcycle being seized and even crushed. So you will need a minimum of Third party only cover, and preferably fully comprehensive insurance. While fully comprehensive motorcycle insurance may be out of the reach of a new rider, it’s a good idea to pick the greatest level of cover for you and your bike. What can you do to get a cheaper quote? An approved lock or immobiliser could knock up to 10% off your insurance quote, so check what kind of locks and immobilising devices your chosen insurance provider recommends, and invest in it. You’ll pay up to 10% less on your insurance if you keep your bike in a locked garage overnight. If you keep your bike on the road or out in the open, it’s an easier prospect for thieves and a more unattractive one for an insurance provider. If you ride a rare or classic motorcycle, joining an owner’s club such as the Classic Bike Club or the Kawasaki Owner’s Club can reduce your costs, as some insurance companies offer discounts to owner’s club members. Motorcycle training doesn’t stop when you pass your test. Train with an advanced instructor or pass your Institute of Advanced Motorcyclists and you could knock a substantial amount off your insurance. Better qualified and trained riders are a lower risk, and more attractive to insurance companies. If you’re only using your bike occasionally, then look for insurance cover that has a limited annual mileage allowance. These are usually reserved for classic motorcycles and are between 5-10,000 miles per year. Top of the list must be security – not just for your peace of mind, but for your broker too! The better your security, the cheaper your insurance. Don’t forget about security when you’re out and about, too. While chains and padlocks are good, team it up with a disc-lock and you’ve made life difficult for thieves by completely immobilising your bike. Search online, or let a broker do it for you? If you have a relatively ‘standard’ motorcycle then online comparisons can be a good way to get a general idea of insurance costs. However, that ultra-cheap quote may actually be pretty worthless when you dig down into the details. Does it include breakdown recovery, or personal accident cover? How about your crash helmet and leathers? And that all-important legal expenses cover? You may end up paying a hefty excess too. And if you have a rare or unusual motorcycle, or have made substantial modifications to a vehicle (such as adapting it for a disabled rider) then you may not be able to get a quote at all, or the details will be inaccurate. So while comparison sites have their place, your best bet is to talk to a broker who understands not just insurance but is passionate about riding motorcycles too. Insurance for motorcycles should include extra cover for your leathers and crash helmet. Remember that not only are they essential for your safety, but they cost a lot of money too. Even a minor accident will mean you need to replace your safety helmet, and that could set you back a hundred pounds for a good quality ‘Type A’ helmet. So check your insurance includes cover for your safety clothing as well as for your bike. We find insurance for all types of bikes and trikes, from mopeds and cruisers, to touring bikes, classic and vintage vehicles, trikes and superbikes. We search the best deals in all types of cover, from third party only, third party, fire and theft, fully comprehensive, and third party only legal fees. Biking isn’t just a practical way of beating the traffic – it’s a way of life for many people. So whether you ride a Honda or a BSA, a trike or a Vespa, talk to Park Insurance today and get the best deals on motorcycle insurance.